The impact of a car crash can exert a force that yields life altering injuries. Accident injuries can range from minor sprains to fractures and severed limbs. Injuries may temporarily or permanently effect affect your ability to perform daily tasks and may even alter your personality. If you’ve recently been injured in a California car crash, it’s important to acquire both medical treatment and legal advice. An experienced California personal injury attorney can connect you to the best medical care while earning you fair compensation to cover your car repairs, medical bills, and down time. While head, neck, and knees are typically the most vulnerable body parts, every square inch of your body is susceptible to injury in a crash. Symptoms, treatment, and prognosis will vary depending on the type and severity of the injury. Road accident injury rates in the Golden State are not slowing down. In fact, the number of state residents injured in accidents increased 12.8% from 2011 to 2015. 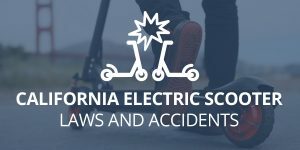 There were a total of 254,561 Californians injured across 178,669 collisions in 2015 and the numbers continue to climb. Accident injuries in Glendale have occured at a relatively steady rate. There have been an average of 1,097 injuries per year in the past five years. Pedestrian injuries are a large concern within the Glendale community. Glendale currently ranks as one of the most dangerous cities in California for pedestrians. The city ranks as the 16th worst city in its population bracket. If you’ve recently been in an accident, it’s important to seek medical attention, regardless of whether or not you feel any symptoms or pain. Certain injuries can take a matter of days or weeks to exhibit symptoms. Furthermore, the adrenaline rush that accompanies a crash can also momentarily mask pain. It’s crucial that injuries are diagnosed and treated as soon as possible before lack of care and further aggravation escalates the damage. Thankfully, there are a number of great local physicians and hospitals in the area that are readily available to provide prompt medical attention. There are actions you can take to reduce or eliminate the possibility of injury in a crash. California drivers should take all of the following precautions into consideration. Always wear a seat belt while the car is in motion. Regularly perform routine maintenance to ensure your car is running properly. Maintain a safe driving speed. If possible, avoid a head-on collision if a crash is inevitable. Head-on collisions increase the risk of serious injury. Wear a medical ID bracelet or necklace if you have a serious medical condition or allergies. This will not prevent injury at the time of the accident, but it will prevent further complications if you are unconscious and unable to communicate these concerns during medical treatment. How Much Compensation Am I Entitled To For Injuries After A California Car Crash? There is no definitive answer to the level of compensation you’re entitled to receive for your injuries. Compensation for injuries after a car accident is largely dependent on four main case factors. All car accident victims deserve compensation for medical treatment, no matter the cost of treatment. Physical therapy for accident injuries can be as low as $100 per session while surgery for a herniated disk can cost anywhere from $20,000-50,000. In the cases of debilitating injuries or paralysis, the total cost for medical treatments can reach millions of dollars. The total cost of medical treatment will be factored into your compensation. That not only includes what you have paid or are paying for treatment, but any future expenses you’re expected to incur as well. 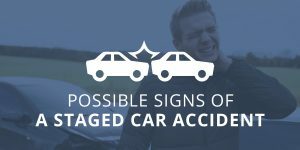 There are a number of different injuries that can be sustained after an accident and they all vary in duration and intensity. The more severe and permanent an injury is, the more a victim can claim in a California personal injury settlement or jury verdict. Certain injuries may prevent you from attending work. You may be entitled to both lost wages from injury or hospitalization, and the loss of any future income as a result of your injuries. Effects on your future earning capacity may be taken into account. Non-monetary damages for conditions such as insomnia, depression, and anxiety are significantly harder to prove in court. These kinds of damages are best to pursue with the help of an experienced and reputable personal injury attorney. When pain, suffering, and emotional distress become so crippling that a victim can no longer enjoy basic pleasures such as hugging a significant other, courts are more likely to award larger settlements. You shouldn’t have to bear the burden of your accident injuries alone. Megeredchian Law can help you hold negligent drivers accountable for their actions so that you can earn the compensation you deserve. Megeredchian Law is one of the leading personal injury law firms in the state of California. Allow one of our personal injury attorneys to focus on protecting your rights while you focus on healing. Our attorneys can assist you in every step of your accident recovery from finding the right doctor to earning your fair share in an accident settlement. Contact Megeredchian Law today to schedule a free initial consultation. 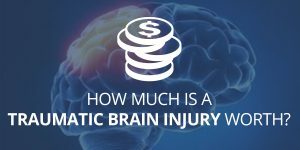 How Much Is A Traumatic Brain Injury Worth? There are many types of accidents that can cause a traumatic brain injury (TBI). Whether you have a … Read More about How Much Is A Traumatic Brain Injury Worth?